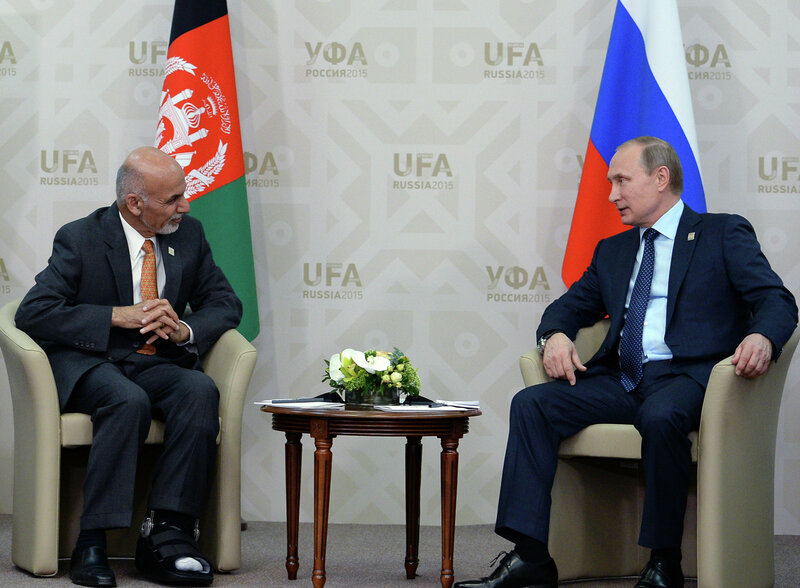 Vladimir Putin met with President of Afghanistan Ashraf Ghani to discuss possibilities for developing trade and economic ties, cooperation in culture and education, and joint efforts to combat terrorism and drug trafficking. Vladimir Putin: Mr President, friends, good afternoon. I am very pleased to have this opportunity to meet with you on the sidelines of the SCO summit. We know that you have long been engaged in international affairs and in helping to settle Afghanistan's fate. Working with the United Nations, you took part in drafting the Berlin Declaration on Afghanistan. We are very pleased that someone as experienced as you is heading the country now and we sense the continuity in your work. 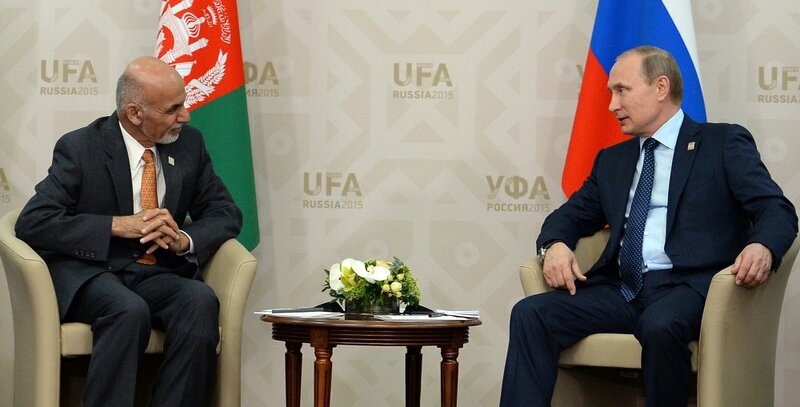 Our relations have gone through various periods, but over these last decades, Russia and Afghanistan have developed what are undoubtedly ties between friendly countries. We are active in coordinating our work on the international stage and we share a common view of the need to fight terrorism. You know that we support full normalisation of the situation in Afghanistan and establishment of the conditions needed for steady growth. Our two countries have established an intergovernmental commission. Our bilateral trade increased considerably last year. True, it dropped sharply at the start of this year, but we can of course analyse the reasons for this and map out the next steps for developing our cooperation.